We’ve seen a few Coolpad devices on T-Mobile to date, and soon there’ll be another phone with Coolpad branding on T-Mo’s shelves. 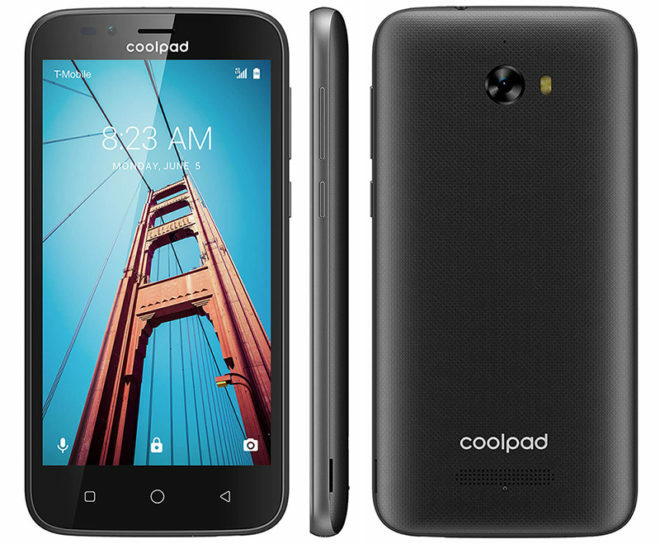 The Coolpad Defiant is coming soon to both T-Mobile and MetroPCS. Specifically, it’s launching at T-Mobile on June 16, with a MetroPCS release happening this summer. There are no pricing details available quite yet, but given the Defiant’s entry-level spec list, it should be fairly affordable. So what are those specs? Coolpad’s Defiant is running Android 7.0 Nougat on a 5-inch 854×480 display and it’s got a 5-megapixel around back as well a 2-megapixel front-facing camera. There’s a Snapdragon 425 processor inside the Defiant as well as 1GB of RAM, 8GB of storage, and a microSD slot. The whole package is powered by a 2450mAh battery. Also of note is that the Coolpad Defiant supports band 12 LTE and Rich Communications Services (RCS) messaging. Why would they even release this in the US? These would be bottom tier specs even if this thing came out 3 years ago. Having something like this for sale is only going to sour your customer base and hurt your brand. I mean this is probably aimed at old people or those that aren’t tech savvy. The type of person that won’t understand the limitations of the phone and will probably blame T-mobile for part of its shortcomings. Yeah, my Mother picked up the previous version from Metro PCS and it was terrible. Terrible viewing angles, terrible touch recognition, always has troubles with making audible notifications, battery drains at various times but not consistently and other various slow downs and hang ups. She got it because it was $100 bucks. OMG What happened? How embarrassing! Why do they keep making this trash? They make it because they want to. They know how cheap the American consumer is. Non parlare cosi, Caro, in questi tempi terroristici. Metro has a free phone up to $70, or half off any, if you add a line. I grabbed LG Aristo as a backup.